In my last vanity card I announced that I was quitting writing vanity cards. I was pretty firm about it. Didn't leave myself a lot of wiggle room. Not that I need any. Nothing's changed. I still feel like I made the right choice. Sure, I might have welcomed a groundswell of support for me to rethink my decision. I mean, I have been writing these things for 18 years. You'd think it would mean more to people. But no. The general reaction to my announcement was mild disappointment followed by a shrug. A literal shrug. I actually saw several pairs of shoulders lift earward an inch or two. No one sat me down and pleaded with me to reconsider. Nor was there a celebration on my having achieved such a singularly unnecessary, non-literary achievement. 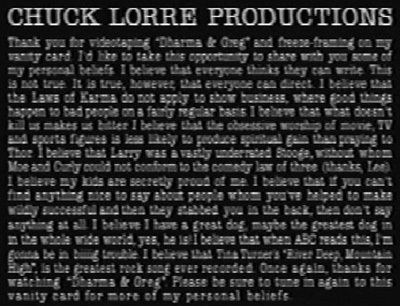 If anyone felt the urge to reminisce about a personal favorite vanity card out of the FOUR HUNDRED AND SIXTY-THREE that I've labored over, they certainly didn't bring it up with me. No, the best I could hope for was shoulder spasms. One "friend" politely asked me what I'm going to do with all the free time I'll have now. I said that I planned on cultivating bitterness. He looked to see if I was kidding. I shrugged. Which, if you haven't noticed, is how one elegantly ties up disparate threads in a meandering essay that is clearly destined to be underappreciated.